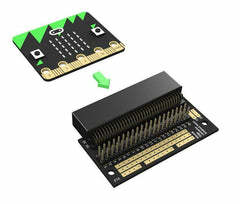 This board provides a simple way to add motor driving capability to a BBC micro:bit. It allows two motors to be driven with full forward, reverses & stop control. 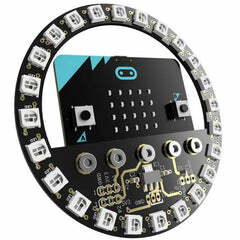 It has terminal blocks to connect four input devices and a regulated 3V supply is fed into the 80 way connector to power the inserted BBC micro:bit. In this new version, the pins from the BBC micro:bit are now broken out to pads on the end of the Motor Driver Board. 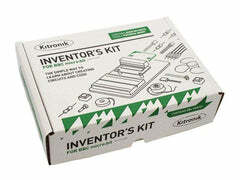 These pads can either be soldered onto directly.